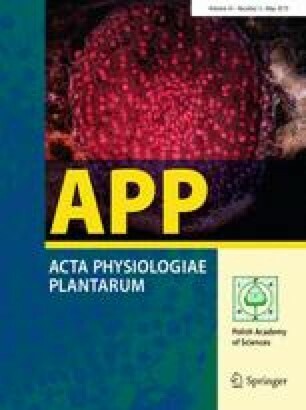 Plant tissues and cells can sense and transmit stress signals, change their morphological structures, alter protein and gene expression, and activate metabolic pathways to adapt to stressful environments. However, the internal and external resistance mechanisms related to antioxidation in local tissues or cells suffering from biotic stress remain unclear. We studied the response of Malus crabapple leaves to cedar-apple rust infection, and the results revealed that significant color changes and flavonoid compound accumulation (especially anthocyanins) occurred in the rust-infected tissue (RIT), whereas no significant color changes and only flavonol and flavanone accumulation occurred in the non-infected tissue (NIT). There was an up-regulation of expression of the key structural genes and MYBs related to anthocyanins biosynthesis in the RIT, while its expression related to flavonol and flavanone biosynthesis was up-regulated in the NIT. Moreover, the accumulation of glucose, sucrose, and sorbitol among the tested carbohydrates was successively induced at higher levels in the RIT and NIT. Importantly, rust infection increased the contents of jasmonate (JA), abscisic acid (ABA), and ethylene (ETH), and significantly up-regulated related key genes in the RIT and NIT during rust spot expansion. Spearman’s correlation and redundancy analyses indicated that ABA and ETH were potentially involved in oxidative defense responses to rust spot expansion by initiating the transcription of key genes, increasing the sugar supply, and adjusting the osmotic balance. Yudan Duan, Suxiao Hao, and Rui Luo have contributed equally to this work. This work was financially supported by the National Natural Science Foundation of China (Grant No. 31200213), the Beijing Collaborative Innovation Center for Eco-environmental Improvement with Forestry and Fruit Trees (No. CEFF-PXM2016-014207-000038), the National Key Project of Research and Development Plan (Grant No. 2016YFD0201116), the Beijing Key Project of Science and Technology Plan (Grant No. D161100000716003), and the Agricultural Science and Technology Project of Beijing Municipal Commission of Rural Affairs (Grant No. 20150121). Meanwhile, we thank the Beijing Nursery Engineering Research Center for Fruit Crops, the Key Laboratory of Pomology, and the Key Laboratory of Agricultural Applications at the Beijing University of Agriculture.